“Loredo” by The Adventure just popped up on my pandora 8bit station. It is awesome. If you’re a fan of 8bit inspired music (think ‘legend of zelda’ on an old gameboy, then add more bass and stuff) then you’ll love this one! Unless you’ve been hiding under a rock, or you’re just not that into video gaming culture, you’re probably aware that PAX recently came to Melbourne, Australia. For the benefit of the rock dwellers, PAX (Penny Arcade Expo) is a massive convention celebrating the gaming culture and community, talking about a lot of gaming issues good and bad, and showing off a lot of cool new games and technology. 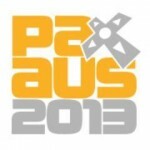 More info about PAXAus is available on the aptly named PAXAus website. Yay! YOAST is pretty good, I like how it shows google previews of your pages. I just want to play batman. Why won’t you let me play batman? Wanted to replay Arkham City after seeing the new Batman today. This is the crap I’ve had to do just to reinstall the game I own and have already finished.